"inTeRlink" is an on-line therapeutic recreation newsletter featuring links to articles on & related to recreation therapy and therapeutic recreation on the Internet. Send news items and links to Charlie Dixon at charlie * recreationtherapy.com. Date shown on each article reflect the date link/item was added to this page and not necessary the date the article was written. It is quite possible that linked articles are no longer available. (12-17-01) The Annual in Therapeutic Recreation, published by the American Therapeutic Recreation Association is seeking qualified individuals to serve on the Annual in Therapeutic Recreation Editorial Advisory Board as Associate Editors. Associate editors assist the editor in duties related to the editorial management of the Annual in Therapeutic Recreation. Associate editors are also responsible for specific manuscript reviews as assigned by the editor. Associate editors will be asked to review a minimum of two manuscripts during January and February 2002. Following the manuscript review, the associate editors submit a detailed written analysis of the manuscripts with recommendations for acceptance, rejection or acceptance with revisions. take place starting Friday evening and run through Sunday afternoon. We are currently accepting proposals for programs. If you or someone you know are interested in presenting, contact either Cory Kapes, CTRS at ck2587@yahoo.com or Mary Wilson Palacios, CTRS at jam2001@bellsouth.net. As the date approaches we will pass on more information as to the details of the conference. Hope to see you there! (10-1-01) Geba died from cancer July 27, 2001 at his Kona home. He was 74. Geba was born on March 8, 1927, in Salzburg, Austria. Dr. Geba was born in Salzburg, Austria and received his undergraduate and graduate training in the basic medical sciences, psychology, philosophy, and physical education at the University of Vienna. From 1951 to 1954 he held a guest professorship at the University of Tehran and served as an advisor to the Iranian Ministry of Health and Education. In 1955 he was invited to the United States as a consultant by the Aspen Institute for Humanistic Studies and directed its Health Center until 1962. After four years with the University of New Mexico and the Lovelace Foundation for Medical Education and Research, Dr. Geba obtained his American doctorate at the University of Colorado. The following year he taught for the University of the Seven Seas traveling around the world with 400 students on an ocean liner. In 1966 he settled in San Francisco, conducted his private practice, where he had an excellent reputation as a psychotherapist. While there, he served as a consultant and Professor for the California School of Professional Psychology. The same year he was elected Fellow of the American College of Sports Medicine. In addition to his academic and professional record, Dr. Geba has a most extraordinary background. As a seventeen year old boy, he escaped from the Nazi SS and from a Soviet prison camp in Hungary. While living in Tehran, he served as the ski instructor to the late Shah of Iran and Queen Soraya. During his time in Aspen he trained the U.S.A men's and women's Olympic Ski Teams and was the coach of the International Professional Ski Racers Association with ten world champions in its ranks. He is the father of two sons, Dorian Andreas Geba who lives in Las Vegas with his wife, Shelley; and Peter Alexander Geba of San Diego. He is stepfather to Tira Lisa Leitzell, who lives in Oceanside, CA, with her husband, Michael. They are parents of his grandchild, Hunter Michael Leitzell who was born on Christmas Eve, 2000. 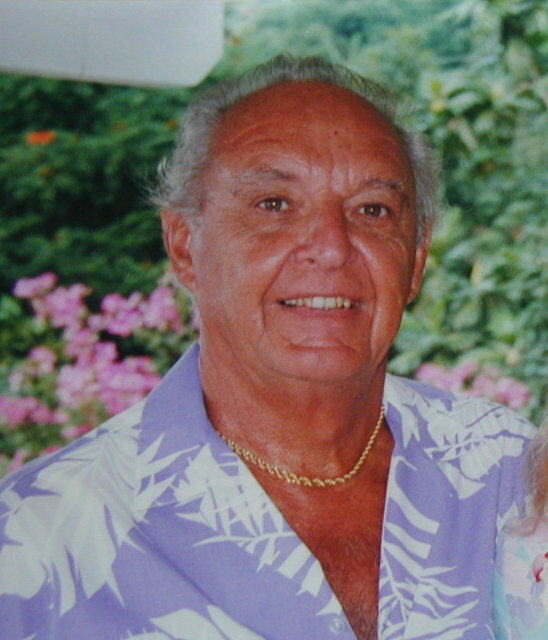 In addition, he has two step-grandchildren, Heidi Hoham and Tally Hoham of Newport Beach, CA. Heidi is the mother of his step-great-grandchild, Emily August Hoham. The profile of Dr Geba would not be complete without mentioning his artistic and philanthropic interests. Besides being an accomplished stone sculptor, he has been active propagating self-help programs in the use of stabilized adobe for inexpensive housing through the International Foundation of Earth Construction, for which he traveled to the Middle East, the Phillippines, and Fiji as a consultant. He retired to the Big Island of Hawaii in 1993 where was active in the Ironman Triathlon as a volunteer in Registration and Timing. He also served as Ohana Co-ordinator and served as translator for the more than 400 German speaking athletes. He spoke 5 languages; German, French, Farsi, Spanish and English. He was a member of Kahikolu Congregational Church where he sang bass in the church choir and served as a Trustee. He lived with his wife, Penei, and dog, Kilinoe'okalani, in a house he designed himself overlooking Kealakekua Bay and Kahikolu Church. The Annual ATRA Awards program is a way to recognize many of the individuals who have worked diligently to advance the profession of therapeutic recreation. ATRA would like to congratulate the following individuals who were recognized at the Awards ceremony in New Orleans during the ATRA Annual conference. The ATRA Distinguished Fellow Award for 2001 was presented to Dr. Frank Brasile. This is the highest award granted by ATRA. Dr Brasile is a well known leader in ATRA, having served as Past President of the Association, as well as currently serving on the Board of Trustees for the American Therapeutic Recreation Foundation. Dr. Brasile has also served as head coach of the national USA Women's Wheelchair Basketbastball team that competed in the 2000 Paralympic Games in Sydney, Australia. The Outstanding Professional Award was presented to Dr. Lynda Mitchell, a successful entrepreneur, the President and founder of RecCare, who recently authored "A Private Practice in Therapeutic Recreation." The Frank N. Brasile Clinician of the Year Award was presented to MaryAnn Bellfy, along with a monetary award by the American Therapeutic Recreation Foundation (ATRF) for creative and innovative programming in a clinical setting. The Member of the Year Award was presented to Sandy Thomas for her significant efforts in the areas of public policy, her tremendous leadership of ATRA's Public Relations team and her outstanding leadership as President of the Arkansas chapter affiliate. The Scholarly Achievement Award was presented to Dr. Bryan McCormick to recognize his numerous scholarly contributions to the field of therapeutic recreation. The Individual Citation was presented to Denise Rand for her consistent volunteer help at ATRA conferences. The Organization or Institution Award was presented to both RP Malik Enterprises & Wake Forest University Baptist Medical Center, for their efforts in supporting and promoting therapeutic recreation. The Excellence in Education Award was presented to Indiana University. ATRA Certificates of Recognition were presented to many ATRA team leaders and treatment network coordinators who were nominated, including: Jennifer Hinton, Michael Duquette, Gloria Garton, Charles Bond, Gloria Gram, Susan Emanuel, Ben Curti, Suzanne Melcher, Mark Dallon, and Helen Flanders. The Chapter Affiliates of the Year for 2001 were CHARTA & NJ/Eastern PA.
Sept. 12 - The following comes from the National Association of School Psychologists, as a way to help children cope with Tuesday's acts of terrorism. Tuesdays tragic acts of terrorism are unprecedented in the American experience. Children, like many people, may be confused or frightened by the news and will look to adults for information and guidance on how to react. Parents and school personnel can help children cope first and foremost by establishing a sense of safety and security. As the nation learns more about what happened and why, adults can continue to help children work through their emotions and perhaps even use the process as a learning experience. 5. Observe childrens emotional state. Depending on their age, children may not express their concerns verbally. Changes in behavior, appetite, and sleep patterns can also indicate a childs level of grief, anxiety or discomfort. Children will express their emotions differently. There is no right or wrong way to feel or express grief. 6. Tell children the truth. Dont try to pretend the event has not occurred or that it is not serious. Children are smart. They will be more worried if they think you are too afraid to tell them what is happening. 7. Stick to the facts. Dont embellish or speculate about what has happened and what might happen. Dont dwell on the scale or scope of the tragedy, particularly with young children. 1. Focus on your children over the next day or so. Tell them you love them and everything will be okay. Try to help them understand what has happened, keeping in mind their developmental level. 3. Stay close to your children. Your physical presence will reassure them and give you the opportunity monitor their reaction. Many children will want actual physical contact. Give plenty of hugs. Let them sit close to you, and make sure to take extra time at bedtime to cuddle and to reassure them that they are loved and safe. 4. Limit the amount of your childs television viewing of these events. If they must watch, watch with them for a brief time; then turn the set off. Dont sit mesmerized re-watching the same events over and over again. 5. Maintain a normal routine. To the extent possible stick to your familys normal routine for dinner, homework, chores, bedtime, etc., but dont be inflexible. Children may have a hard time concentrating on schoolwork or falling asleep at night. 7. Safeguard your childrens physical health. Stress can take a physical toll on children as well as adults. Make sure your children get appropriate sleep, exercise and nutrition. 8. Consider praying or thinking hopeful thoughts for the victims and their families. It may be a good time to take your children to church or the synagogue, write a poem, or draw a picture to help your child express their feelings and feel that they are somehow supporting the victims and their families. 3. Have a plan for the first few days back at school. Include school psychologists, counselors and crisis team members in planning the schools response. 10. Be careful not to stereotype people or countries that might be home to the terrorists. Children can easily generalize negative statements and develop prejudice. 12. Provide an outlet for students desire to help. Consider making get well cards or sending letters to the families and survivors of the tragedy, or writing thank you letters to doctors, nurses, and other health care professionals as well as emergency rescue workers, firefighters and police. It is vital to understand the cognitive functioning of children and how cognition affects childrens ability to grieve and cope. At this age, children are still greatly impacted by their parents emotional state, but they are also developing their own separate state. Prior to this age-level, children relied heavily on what they observed externally to determine how they felt internally. Now, their increased anticipation, memory, and their own mental image also greatly affect their emotional state. Imagination and previous experience are now playing a role in an emotional event. Rehearsal is a new coping mechanism within this stage that allows them to choose different coping strategies. 1. Death is by happenstance and occurs only under certain settings. It is not inevitable. 2. They will never die. 3. They cannot imagine what it is like to die until they develop abstract reasoning. 4. Magical thinking can overcome death. 5. Adjustments to a death are often more important to this age-level child than the death itself. 6. Parents are powerful and the leading cause of death is not listening to parents. 7. Children tend to put events together. 8. Death is a punishment for bad behavior. 9. Children of this age have less anxiety about death. 10. Death is reversible and not a constant. At age eight, children start to develop abstract reasoning. Abstract reasoning allows for greater ability to draw conclusions and to understand emotional impact. At this point, children can start to understand what another person feels. With abstract reasoning, children start to ask a different brand of questions. Children start to think about the intangible of life, such as love, death, loss, and emotions. Children in this stage can differentiate more clearly the words of emotions. Children of this age are mini-adults as they will initiate almost all the skills necessary for adult emotional comprehension and expression. They progressively read the emotions of others more effectively and formulate their own opinions. 2. Death thoughts and feelings are too personal to discuss. 3. Struggling with denial and acceptance of their own mortality. 4. Magical thinking marches on. 5. Death becomes associated with eerie, evil entities. 6. Fantasy games regarding death. 7. Becoming more adult in thoughts, but child-like beliefs continue. 8. 9 to 11 years, differentiate life from non-life. Early adolescence offers a focus on the biological aspects of death. They also realize that death can happen to them. Death is perceived as nasty, dismal, and dark. This is a rich time of theorizing about death. Concern about the physical aspects of death arises. Often questions about the results of death are paramount. 1. Adult-like understanding of universality and irreversibility. 2. Death is viewed as an interruption. Death is an enemy. 3. Adolescents are fearful and fascinated about death. Death themes in music and movies. 5. Abstract reasoning enhances an adolescents vulnerability. 6. Teens often need permission to grieve. 7. Anger: passive or aggressive. 8. Bodily changes promote an emphasis on growth and life. Death is a constant. The National Therapeutic Recreation Society (NTRS) seeks a Public Policy Fellow to work at NRPA's Ahrens Institute in Ashburn, Virginia beginning in January, 2002.
reform, the Americans with Disabilities Act, the Individuals with Disabilities Education Act, and issues related to aging and persons with disabilities. Involvement with national legislative coalitions, attendance at briefings and hearings, and preparation of testimony and action alerts are examples of the responsibilities of the position. Maryland Association for Health, Physical Education and Recreation. Dr. Humphrey passed away in February, 1994, and his family requested an NTRS fellowship fund in his memory. - What is your philosophy of therapeutic recreation? - What are your goals for the NTRS Fellowship? - What are your professional goals? 1. What is your philosophy of therapeutic recreation? 2. What are your goals for the NTRS Fellowship? Contributions to the NTRS Fred Humphrey Public Policy Fellowship will ensure that this important program continues. Send your tax-deductible contribution to NTRS at the above address. This publication is written for therapeutic recreation practitioners who are exploring the possibilities associated with independent contracting and find the idea of entrepreneurship appealing and challenging. The Author, Dr Lynda Mitchell, Ed.D, CTRS, CPRP, brings with her over 30 years of experience. If you are at all considering the world of private practice, this publication is for you. ATRA member cost is only $15.00. This new publication is designed as a blueprint to help guide the recreational therapist through the special education setting in delivering quality recreational therapy to students. Respected authors Lisa Mische Lawson, Ed.M., CTRS, Catherine P. Coyle, Ph.D., CTRS, and Candy Ashton-Shaeffer, Ph.D., CTRS, have provided a thorough resource for working in special education settings. ATRA member cost is only $20.00. Developed by the members of the CDARTA Chapter Affiliate, the TRIE is a user-friendly intern evaluation instrument. If you supervise interns, or are heading out to an internship yourself, you will want this document. The evaluation criteria is based off the ATRA Standards for the Practice of Therapeutic Recreation and includes actual evaluation forms with copyright permission to use in the evaluation of therapeutic recreation interns. ATRA member cost is only $5.00. ATRA's Annual in Therapeutic Recreation (Volume 9) offers a wide range of articles related to outcome measurement from a research perspective and in particular addresses a number of specific disability groups, i.e., mental health, physical medicine and rehabilitation, gerontology, developmental disabilities, school based settings and behavioral medicine. Additionally, Volume 9 contains ATRA's CEU Correspondence Program for professional continuing education needs. $15.00 for members and $25.00 for nonmembers. For more info on these or any ATRA publications check www.atra-tr.org or call the national office at (703) 683-9420. Now Taking Applications for 2001-2002 AmeriCorps Inclusive Recreation Companion project. (8-21-01) The Inclusive Recreation Companion Project is an AmeriCorps sponsored program serving the metro Portland community. The Inclusive Recreation Companion Project is an AmeriCorps project in partnership with The Arc of Multnomah County and local community recreation service providers such as Portland Parks and Recreation, YMCA/YWCA, Boys and Girls Clubs and afterschool programs. These agencies along with a committed corps of individuals address the social/recreational needs of children, youth and adults with developmental disabilities in integrated recreational settings. o Assess the support needs of individuals with disabilities through person-centered planning and assisting them in experiencing a more healthy leisure lifestyle. o Improve the leisure lifestyle of individuals with disabilities through participation in inclusive recreation activities. o Develop a service project as a corps to address an issue in the community and to develop an ethic of service in the community at large. The AmeriCorps Inclusive Recreation Companion Project consists of six highly committed individuals who will be serving the community for one year. They will be serving in one of the agencies listed above as well as in the community. They will be working on The Inclusive Recreation Companion Project objectives throughout the year. Individuals with a background in Therapeutic Recreation are highly encouraged to apply as well as students completing a degree in Therapeutic Recreation. Members receive a living allowance as well as an educational award at the end of their service. The Arc of Multnomah County provides advocacy and direct services to help improve the quality of lives of adults and children with mental retardation and related developmental disabilities. For more information contact Patty Prather, CTRS, 503-223-7279. July 814 is National Therapeutic Recreation Week! Call (800) 432-0320 or (941) 378-2900 and receive a personal USER ID to take your FREE course. Go to http://www.bertrodgers.com/olc/healthcare/newsletter/julynews.htm for more information. * You must register for the FREE course by July 31, 2001. You may take the course any time prior to its expiration date. (7-12-01) Surveyors Training Video on Activities now available for continuing education credit. HCFA's (now known as CMS) satellite broadcast and live webcast entitled "Surveying Activity Requirements for Nursing Homes" can now be purchased for four (4) hours continuing education credit, approved by NCCAP #21091-01. You get two video cassettes, accompanying handouts, and a 20-question test. Individuals must pass test with a 70% accuracy score in order to receive credit. For more information, please contact healthcarecomm@aol.com or call 601-957-3803. (4-23-01) The deadline to apply for National Therapeutic Recreation Society Therapeutic Recreation Research Support Funds has been extended to May 30, 2001.
publications. Funding ranges from approximately $800 to $1100 (U.S. dollars) per project. Please help us spread the word to educators, students and practitioners. (2-19-01) The Active Living Alliance for Canadians with a Disability is very pleased to announce a Youth Exchange Program available to youth with a disability. As many as 100 youth will be selected to travel to Niagara Ontario June 14-18, 2001 to learn the value of an active lifestyle while meeting peers from across Canada. and to create memories that will last a lifetime. http://www.ala.ca/ala/youth/youth for English information and http://www.ala.ca/ala/youth/jeunes for French information and encourage them to apply before March 2, 2001.